Savor the flavor of old world style cocoa married with arabica coffee. 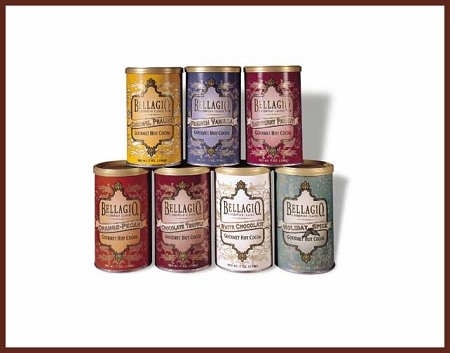 Experience the incomparable, lush taste of Bellagio Old World Italian Mocoa Mixes. These select offerings feature full-flavored dark European Chocolate and fresh-roasted Arabica coffee for a heavenly blend that lets you enjoy the coffee house "mocha" experience anytime and anywhere.